The Master of the 4th degree SK John Winfrey is proud to announce the Honorees for the two District Exemplifications. The Honoree for the Priest and Special Needs Exemplification on February 22, 2014 is SK Maurice Hunt FDD, PGK, PFN. SK Maurice Hunt FDD, PGK, PFN Before passing this last year Maurice (Mo) served our Country, Our Order, and his community faithfully in many capacities for many years. In particular. Maurice served the Maryland State council as a District Deputy, Warden to the State Deputy and Maryland State Activity/Project Chairman. He also served the Archdiocese of Washington District as a District Marshal and as District Membership Director. The Honoree for the March 29, 2014 Exemplification is SK Fr. Gregory Gresko. Fr Gresko is a long time advocate for the Knights of Columbus. He currently serves as Washington DC Associate State Chaplain, as well as Chaplain of the Blessed John Paul II Shrine. Fr Gresko is a member and strong supporter of James Cardinal Hickey Assembly. 10:30am - Report is at 9:30am SHARP! To we Knights of Columbus, this is the armor, sword and shield that should inspire us as Americans. We hold these truths: We believe in these facts, not theories or abstractions. To be self-evident: Plain for all to see and understand, without need for proof. That all men are created equal: Everyone is a child of God, made in His own image. That they are endowed by their Creator: (large C) God has given them to us. With certain unalienable Rights: Rights that cannot be taken away. That among these are: There are more, but the next ones are the most important ones. Life, Liberty and the pursuit of Happiness: Notice the order: The Right to Life comes first and foremost, then Liberty, then the Pursuit of Happiness. That to secure these rights: People and governments may try to take them away. Governments are instituted among Men: People start governments to keep and retain their rights, not to give them away. Deriving their just powers from the consent of the governed: The State exists for the sake of the people, not the other way around. Our country was founded on principles and ideals. The further we stray from these ideals, the greater the risk that the Right to Life and the Freedom of Religious Liberty become imperiled. With over 60 years passing since his death, Fr. 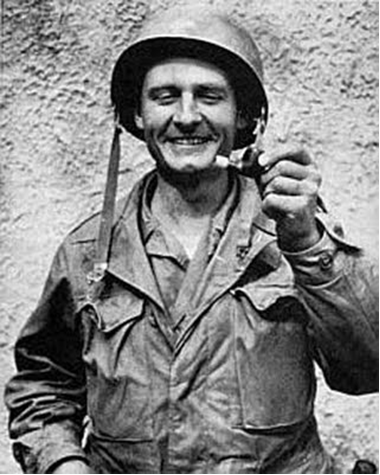 Emil Kapaun has been awarded the Medal of Honor for his brave and heroic service to our nation during the Korean War. Fr. Kapaun, an Army Chaplain, was awarded the posthumous honor on April 11, 2013. The Archdiocese of Washington District has honored Fr. 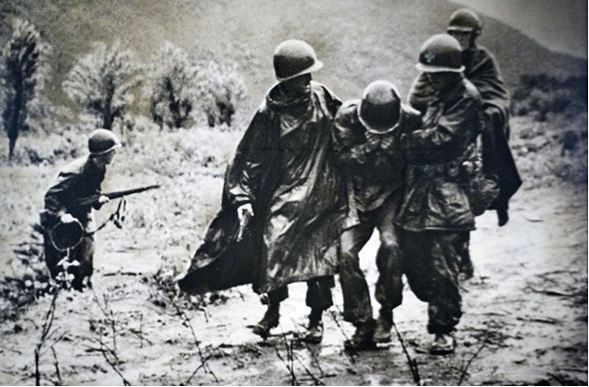 Kapaun and many of his fellow Catholic Chaplains with a section of its website dedicated to telling their stories of heroism and their Catholic patriotism. Supreme Knight Carl Anderson and the 1.8 million members of the Knights of Columbus extend cordial best wishes and prayers to our newly elected pope. The election of Pope Francis - the first pope from the American hemisphere - highlights the fact that America is the continent of baptized Christians, and a place of central importance to the faith today. Pope Francis is well known also for his emphasis on charity - the first principle of the Knights of Columbus. Both in our efforts for evangelization and in our charitable work, we will strive with him to bring the light of Christ to the people of our continent during his historic pontificate.